... a great way to introduce a gathering of people to a creative process. - creative attractions for galas and parties. These events can be held at the Alton Mill or off site at your own venue anywhere. Mark Grice supplies the large, prepared canvas and the acrylic paints and brushes, tables, easel and chalkboard signage. Participants get to paint along to create a large work of art. Mark pencils the image onto the canvas in a predetermined number of grid spaces. Each participant completes the painting of their own grid space in a random order to match the grid space on the reference photo. This works well for an organized group of 10 – 100 people. Mark arrives with the painting laid out in pencil or a partially completed under-painting and participants are encouraged to pick up a brush and paint along under Mark’s guidance. This works well for an unstructured group of 10 – 100 or more people. Option Three: Watch Mark’s Magic! Mark Grice is skilled at completing paintings in a very fast and decisive manner. In just 2 – 3 hours he can complete a very comprehensive, medium sized landscape painting. Imagine a private party in your home or outside in your yard with guests watching an artist create a painting from your favourite photo. This is a great gift for newlyweds to have a painting completed during the reception. 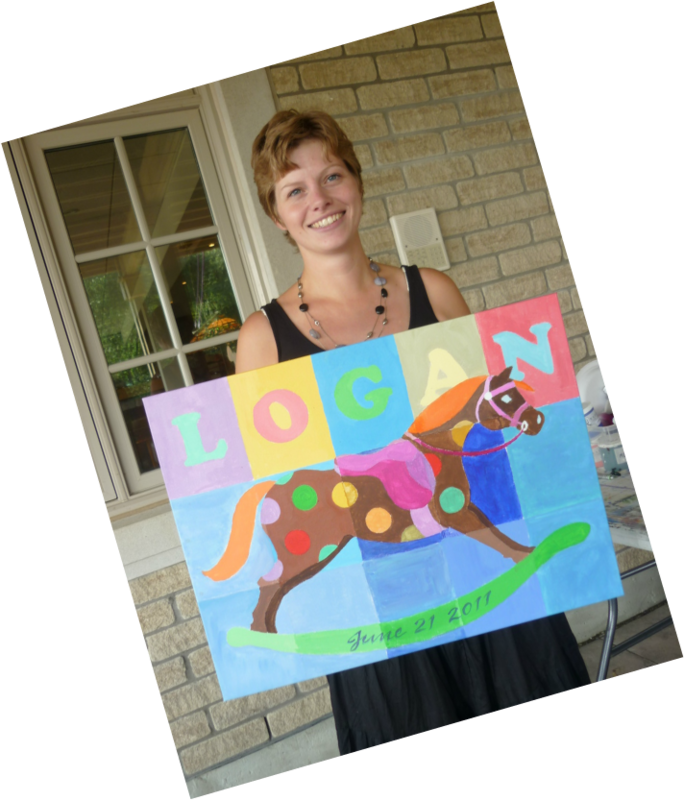 Auction off the painting at your next gala, or offer it as a door prize or gift for the guest of honour. This is also a great activity for seniors in a Retirement Home setting. Paintings can be immediately framed and displayed.